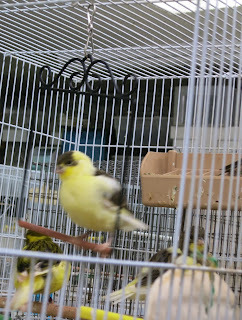 Outside of Baby or Cry Baby and Maxie, Mario, and Richie, I rarely ever name a bird. With several hundred it would be nearly impossible but when a baby Border was born so late on July 17th and because we had to take over feeding it every two hours, I named it Maisie, hoping it is a girl! Maisie has very promising confirmation especially "her" head. Papa swings most of the time he isn't eating. Maisie also loves to swing, starting swinging the day after she left the nest when she was only 19 days old! She often lands on the swing while Papa is swinging, hoping this will move him out! We still hand feed her if she cry baby begs when she sees us and we offer anyway about every four hours and bedtime. See Maisie's baby pictures on July 29th post. Tip: The confirmation qualities of Maisie are usually seen much later when the diet is nearly perfect. I attribute this to the CeDe Handrearing food and it is really developing fast now that Maisie is eating dry perle morbide! I am now mixing dry perle morbide with dry Roudybush maintenance pellets and the birds are selectively picking out the green perle morbide to eat first and the feather texture is noticeably tighter. Try feeding dry perle morbide. A number of bloggers have raved to me about Dr.Rob Marshall's S76 mite treatment and prevention product, so I decided to evaluate the product and answer the question "Does It Work?" 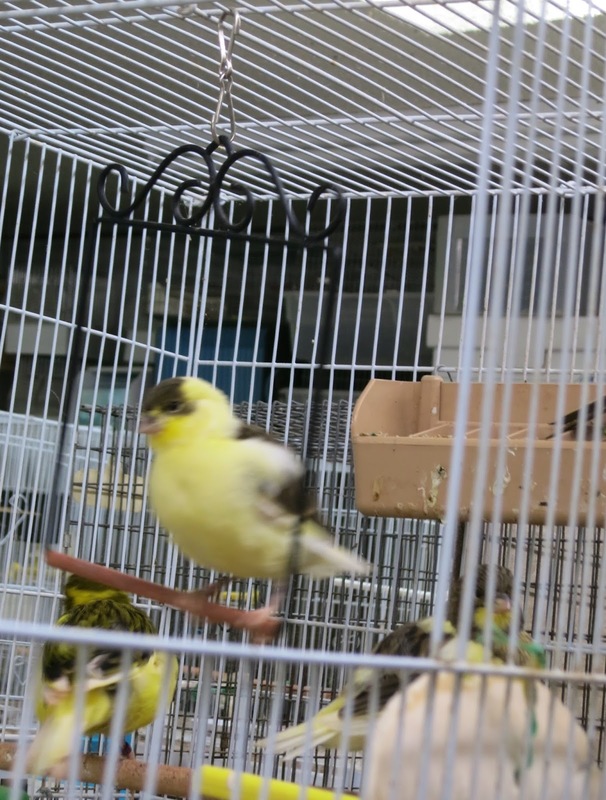 I keep my birds nutritional healthy and use very little medications so with no symptoms of mite infestation, I probably would not have tried this product but the bloggers were insentient and I am so glad they were! S76 is a water soluble ivermectin 0.8 g/l & slippery elm which is easily administered to an entire flock by adding it to the birds water on two consecutive days or to individual birds by placing one drop undiluted on the skin of the neck. Dr. Marshall claims that "S76 can be used at any stage of the breeding cycle. It will not cause harm to the health and fertility of mature birds, fledglings, or eggs." 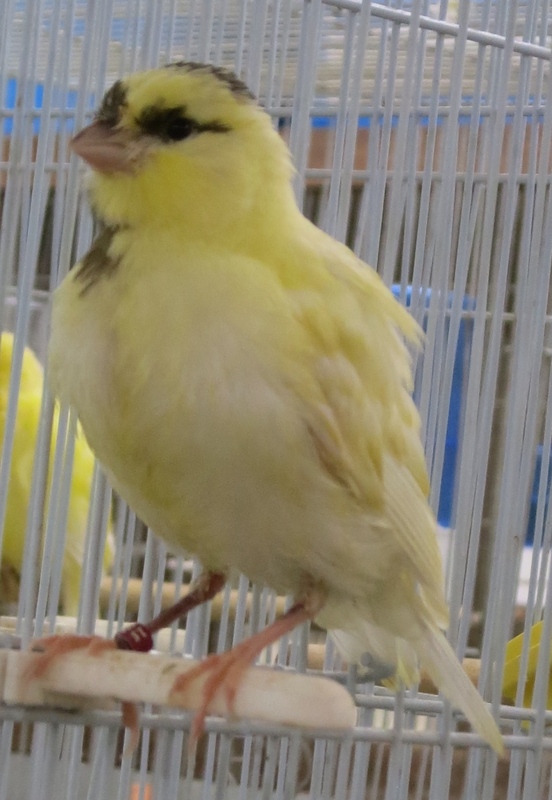 I tested the product on my birds during late breeding season and it did not effect laying, hatching, even newborn chicks or feeding. It was perfectly safe for the entire flock regardless of where they were in the breeding cycle. Dr. Marshall says "mites do live in dormancy in the airway in birds. 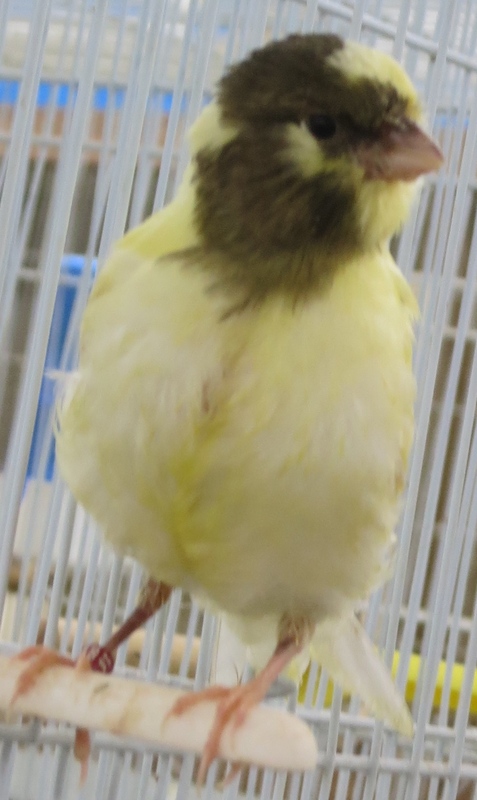 These immature forms become active when the bird is ill or during hot weather. Suddenly the symptoms will appear. The function of S76 is as a health stimulant as well as to keep ADULT population of air sac mites under control. 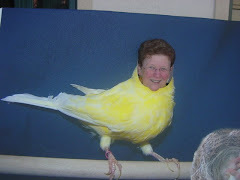 It always has a positive effect on birds. Part of this effect is in the back of the throat where it has a bactericidal effect, so it works to kill any unwanted bacteria." 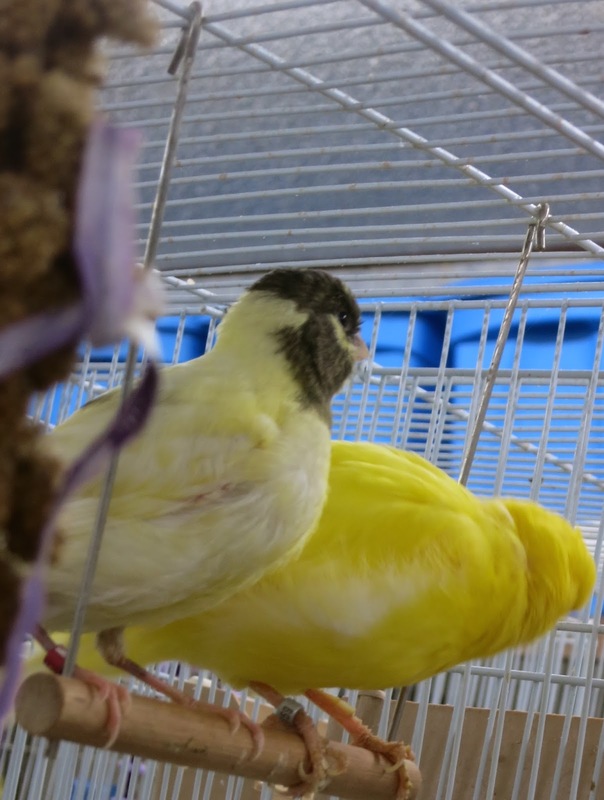 Since my birds have no symptoms of air sack mites, I was totally impressed when the morning of the second day of treatment with S76, the birds looked like they had been hanging out at the SPA! Feathers tightened up, activity level up, and well-being attitude was totally remarkable! 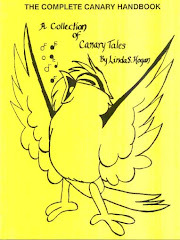 Yes, it had a positive effect on healthy birds! 1. 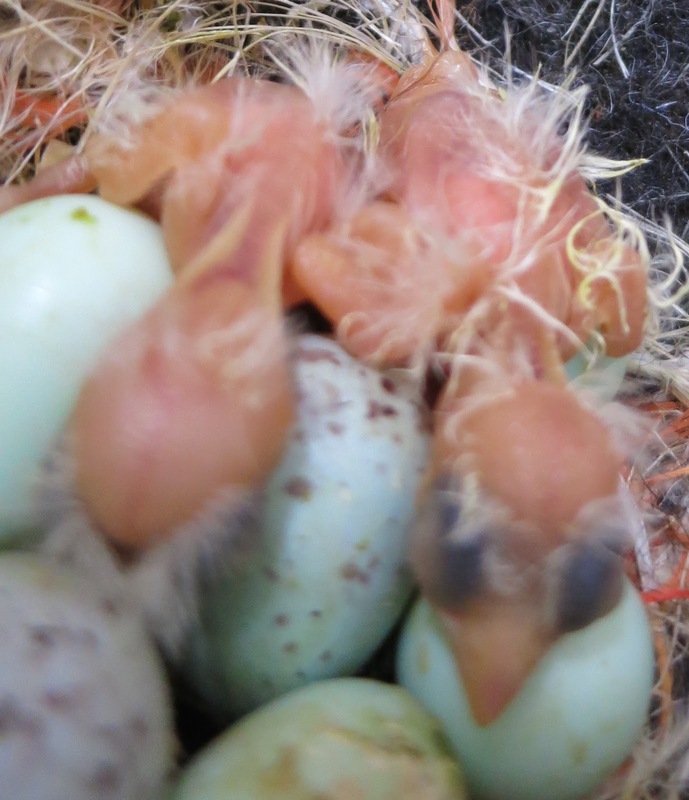 Mite and lice infestations are an underestimated cause of breeding under performance and significant health factor in birds. 2. 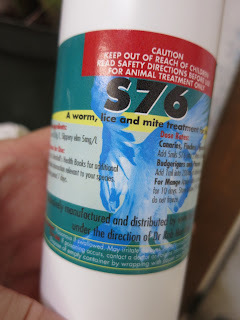 Wormer: S76 will kill red and northern mites, airsac mites, deplumbing (feather) mites, blood parasites (microfilaria), blood sucking lice, flies, and roundworms. 3. Scaly face and feet: S76 can be carefully painted using cotton bud directly on feet, legs and face sores being carefully to keep it away from eyes. 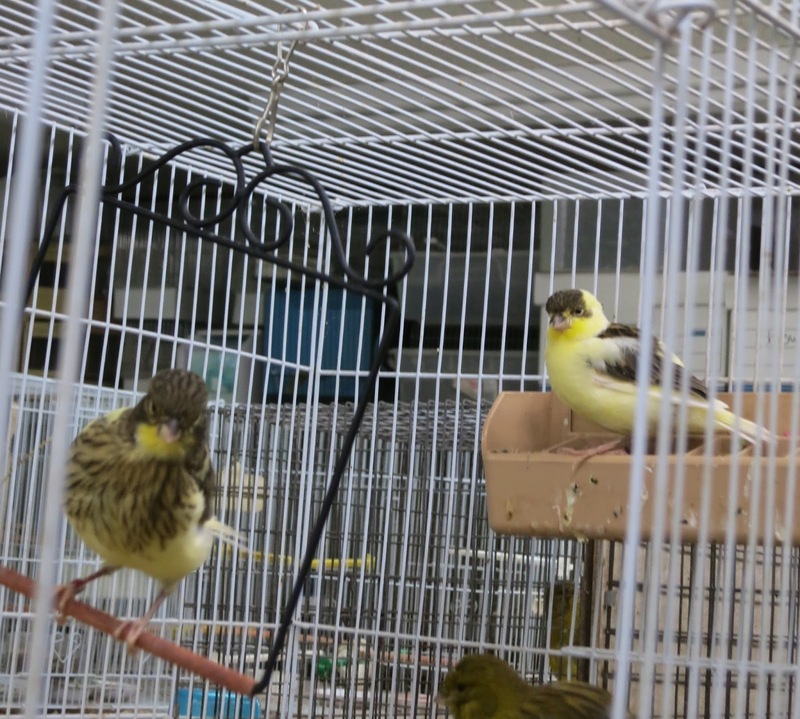 Symptomatic flock birds are treated for 2 consecutive days, 3 weeks in a row to break the 21 day life cycle. Individual symptomatic birds should be treated with a drop on the neck each day for five days in a row. 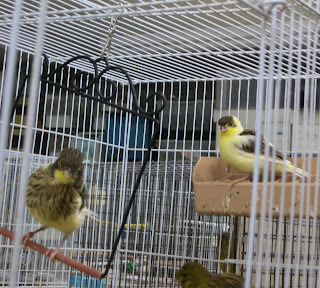 Asymptomatic birds: Molting season, 2 consecutive days every 3 weeks, rest of the year treat for 2 consecutive days monthly. Thank you Laraine ladygouldian.com, www.ladygouldian.com, for including a very helpful handout on dosage and uses of this product and information used in this blog posting. Unfortunately, occasionally a young chick presents with foot positioning problems where the back claw refuses to grip properly around a perch and instead is forward with the front toes. When that happens, I use paper tape and bandage the affected foot in a normal position and then provide lots of different opportunities to grip properly. This photo caught the bird as it was landing on the perch. Good shot of his foot but his confirmation is much better as seen below. One of my favorite is the empty nests. The thin rim makes it ideal for gripping and perching properly! Young Borders love to land on their hummingbird swing! Notice the small diameter of the perch swing which help strengthen grip. 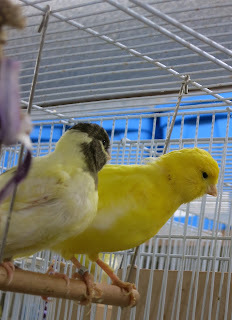 Remember these two late hatch Stafford chicks, well I also found a couple of German Roller chicks but there mother had decided to molt rather than feed. I know from experience that if you can get the hen to feed her chicks it will totally stop the molt but try as I may to get her to feed, she decided to molt instead! The only viable place for the roller chicks is to move them in with the Stafford chicks. So I removed the red colored egg food and replaced it with regular and watched from a distance. Momma Stafford didn't miss a beat and started feeding her chicks and the two roller chicks immediately. Often when I transfer chicks to a foster home, I trim the baby fuzz so I can tell who's who but this time it wasn't necessary. WHY? Only right answers will be printed! So lets see who can get this right first! We have a winner, see comments! Updated photos almost ready to band.